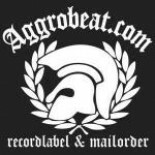 Aggro Beat is a Dutch record label & mailorder focussing on Oi!, punk, mod, ska, and reggae. We carry hundreds of items on vinyl, CD, DVD and merch. We support the original New York SHARP-doctrine. For questions, suggestions, remarks or you can contact us through this form.